LYDIA ALMODOVA TROCHE On the evening of September 1, 2015, Lydia Almodova Troche passed away peacefully in the comfort of her home at the age of 99. 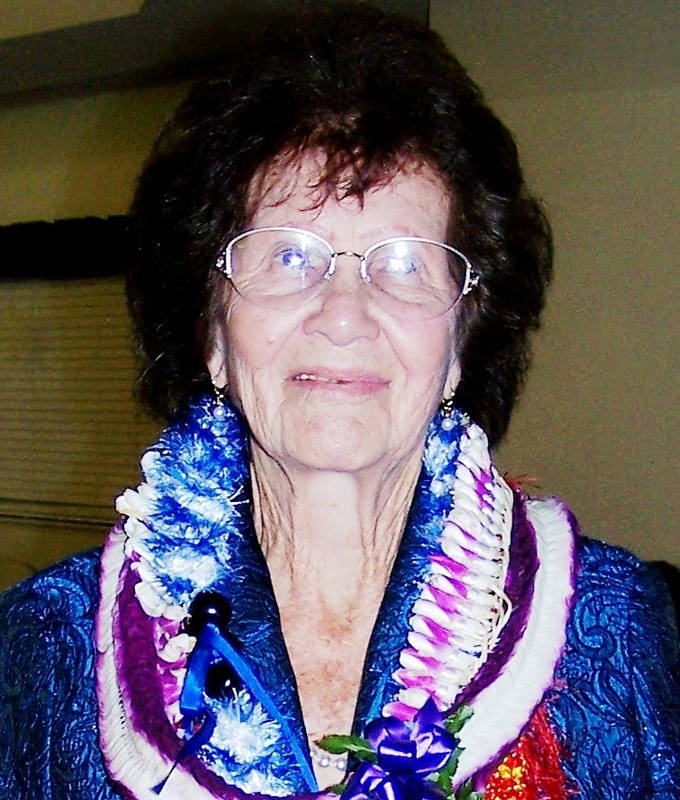 She was born in Kauai on January 3, 1916. She married Paul Troche in 1938 and settled in Honolulu where they raised their family. Later in 1960 she and Paul moved to California. Lydia will be forever remembered by her sons: Louis (Hazel) of the Big Island; Kenneth of CA; Allan (Rita) of CA; Herman (Michi) of Kaneohe. She will be forever be missed by her siblings: August, Ben, David, Marge and Isabel. She has left footprints on the hearts of her 18 Grandchildren, 35 Great Grandchildren and 7 Great Great Grandchildren. Preceding her in death is her husband Paul of 41 years, daughter-in- law Barbara Troche, son Paul Troche Jr., daughter Priscilla Richardson, brothers Louis Jr., Frank, Henry, Daniel and sister, Sophie Kea. Family and friends are invited to celebrate Lydia's life at St. Ann's Catholic Church, 46-129 Haiku Rd., Kaneohe, October 1, 2015 at 10:30 a.m. for visitation followed by a Celebration Service at 11:30 a.m. and Catholic Mass beginning at 12:45 p.m. Burial will take place at Hawaii Memorial Cemetery, 45-425 Kamehameha Hwy., Kaneohe at 2:00 p.m. Luncheon to follow at the Hawaii Memorial Chapel at 2:30 p.m. Aloha attire. Flowers welcome.